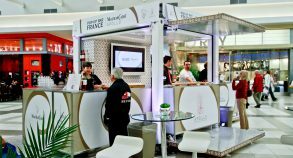 For its fall period campaign, Mouton Cadet wanted to impress its clients by doing something completely different. 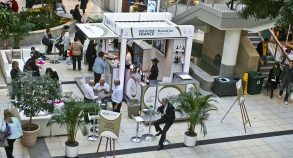 The objective was to offer an upscale sampling experience in a fully branded environment as part of a tour of Quebec’s trendiest malls. 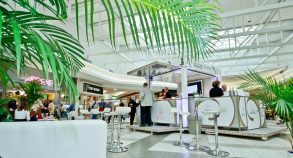 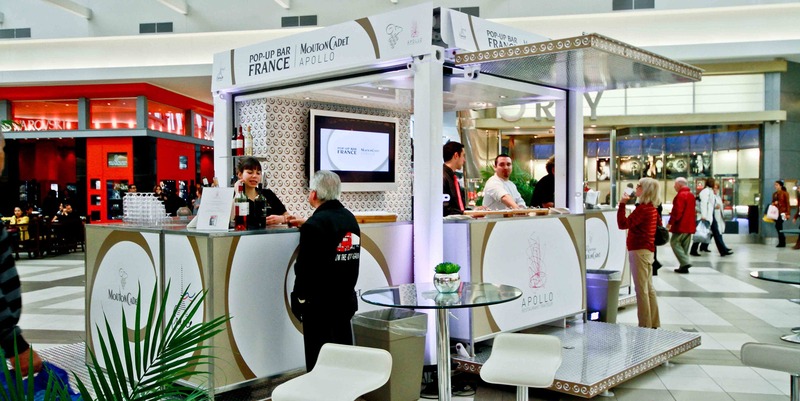 Steel Space Concepts developed a mobile and compact pop-up bar in one of its Steel Space 10 units for the Mouton Cadet mall tour. 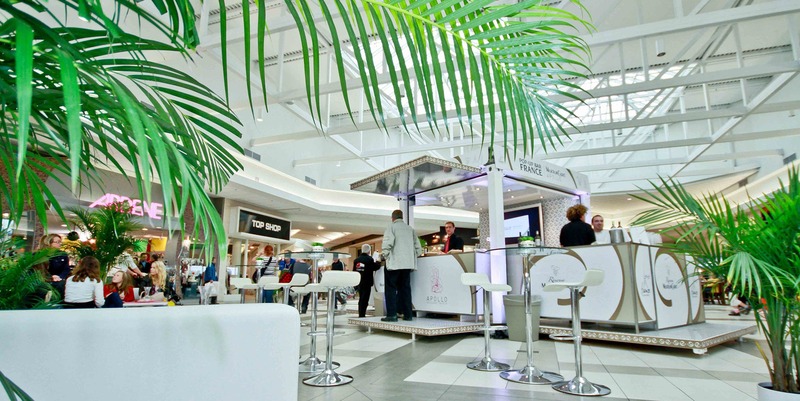 Matching the company’s image, the unit’s design was chic, modern and, most of all, very inviting to passersby. 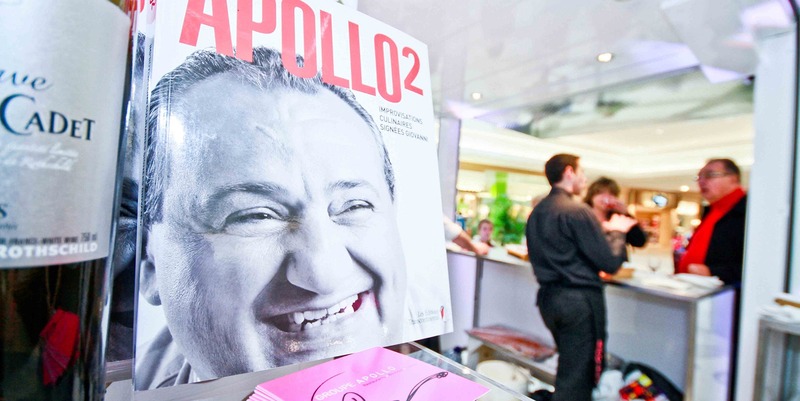 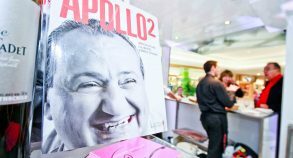 To further add to the upscale experience and to reinforce the brand’s positioning as an upmarket, classy and delicious winemaker, Giovanni Apollo – a chef specializing in molecular gastronomy – was brought on board for the tour. 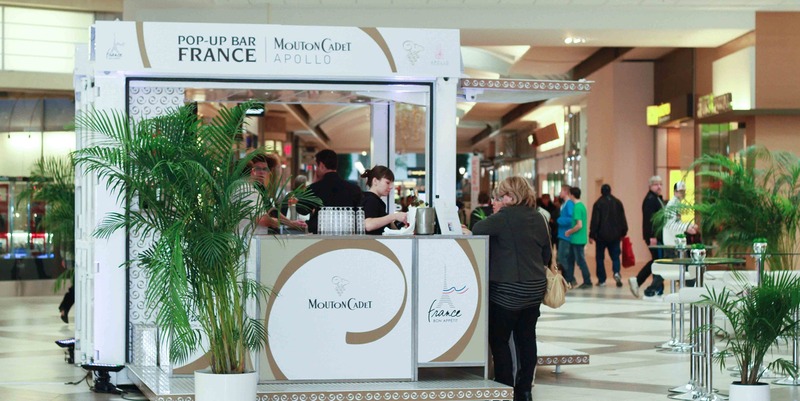 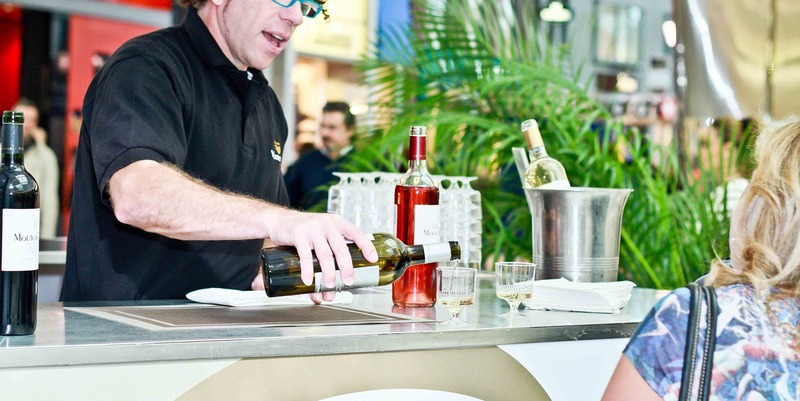 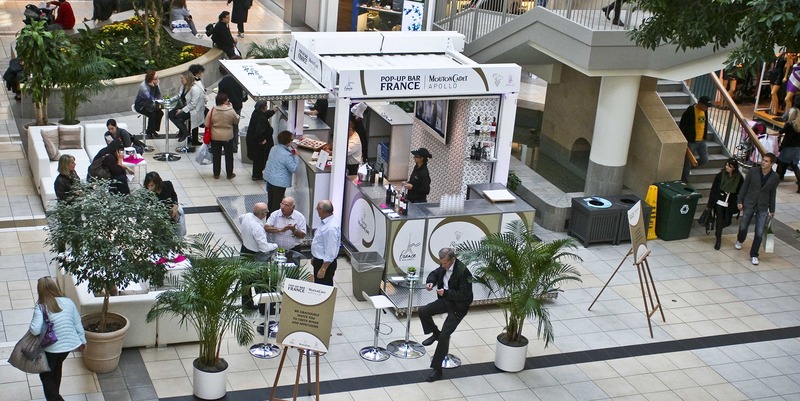 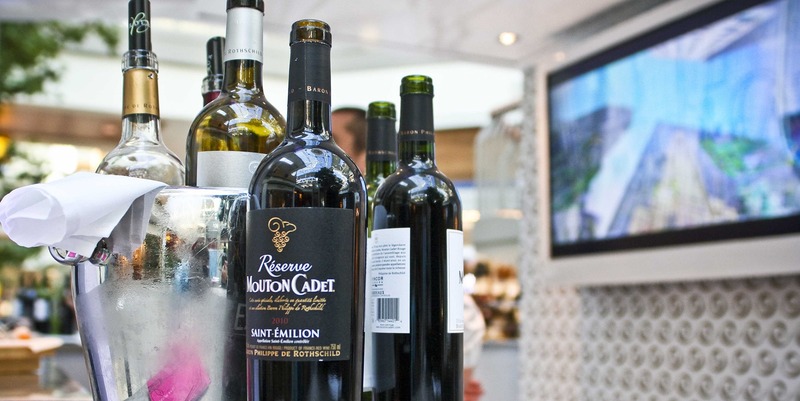 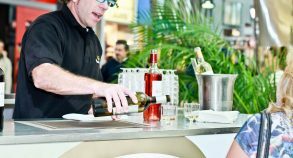 From the moment it opened up at its first stop of the mall tour, the Mouton Cadet pop-up bar was a huge success. 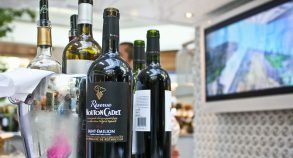 Offering savory appetizers and exquisite wine tastings to shoppers in a relaxed and luxurious environment, all those who came across the Mouton Cadet experience came out wanting more. 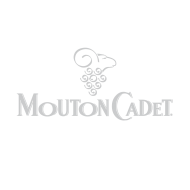 Within days of the campaign, all surrounding alcoholic beverage retailers were sold out of their Mouton Cadet products as a direct result of the campaign putting forward such a fresh perspective of this established brand.